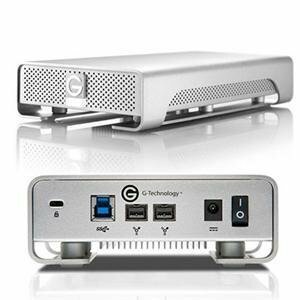 Another note, I also have another G-Drive, 2TB also with 2 Firewire 800 and USB 3.0 and the G-Drive works fine. Regardless if I formatted the drive on either using the Firewire or USB 3 ports, the 2TB G-Drive’s Firewire or USB 3.0 works Ok after formatting. Can anyone suggest a solution? The issue was a known one that was fixed with the firmware on our site for the G-DRIVE GEN5. As long as you have only that drive attached when installing the firmware to the device it should solve the issue. If you have a computer that USB 3.0 ports you should only be using that as FW800 is slow compared to it. The only other solutions is to just use it on USB only and you’ll not have to worry as the format will stick if you don’t change the interface. The only other recourse is to replace the drive. Thank you Rydia for the advise. I’ve also thought about replacing the drive. Another option that I plan to try is remove the hard drive and place it in another Mac as an internal drive and reformat it. Then place it back at the G-Drive enclosure and see if this solves this.